A RAGING TEMPEST IS NOT KNOWN FOR EQUALLY OFFERING CLARITY OF PRECISION AND A SEDUCTIVE EXPANSE OF TEMPTATION, BUT THEN THE MAELSTROM OF CREATIVE IMAGINATION WHICH BREEDS WITHIN NORWEGIANS IN VAIN IS LIKE NO OTHER. new album "currents" out NOW! 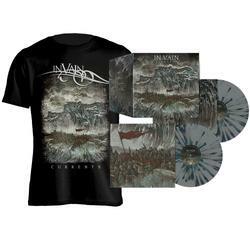 More than 10 years after their grand debut, In Vain returns with their fourth album Currents, on January 26th 2018. The pioneers of progressive extreme metal return with a consummate and complete offering. 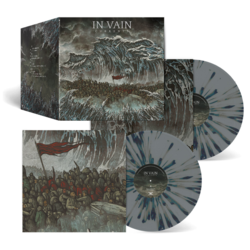 Without question, Currents is the definite pinnacle of In Vain’s career so far. Unique, innovative and catchy compositions with longevity that merge elements from many different genres, whilst still maintaining a carefully balanced dynamic. 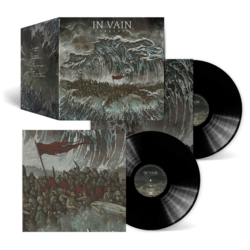 In Vain retains a principal focus on solid songwriting with cleverness and an original edge. Add to that a stellar, organic production tweaked to perfection by Jens Bogren at Fascination Street Studios. The album title, Currents, reflects on the colossal shifts and changes of our time. The present world is characterized by continental flows of people, traditions, and cultures. Migration of people across continents and borders. Cultures merging. Dramatic shifts in lifestyle from one generation to the next. These are all currents - movements that distort old patterns, create tensions as well as new opportunities. These enduring shifts are some of the topics that In Vain addresses on Currents through a series of epic and monumental songs. 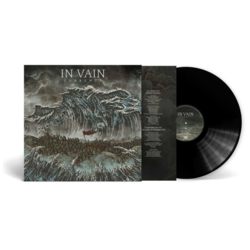 Currents also echoes In Vain’s musical landscape. Since its inception, the band has developed its own trademark sound through extensive exploration and seamless combination of musical genres. Currents goes to new extremes when it comes to developing this approach. The music and lyrics of the album unite to form its own creative Current; A rich synthesis underlining the very idea of cultural and musical merging, and the album concept and artistic vision has been captured brilliantly by cover designer Costin Chioreanu and his stunning artwork.